Pablo Helguera, The School of Panamerican Unrest, 2006. Installation shot at The 8th Floor. Courtesy of the artist. 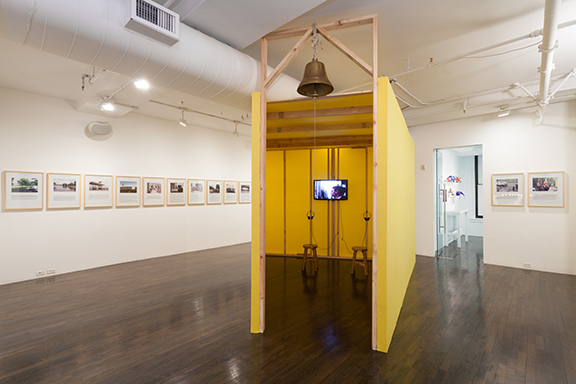 The Schoolhouse and the Bus: Mobility, Pedagogy, and Engagement at the 8th Floor Two notable social practice artists, New York’s Pablo Helguera and Los Angeles’s Suzanne Lacy, are brought together for the first time. This show pairs a key work by each artist. Helguera’s School of Panamerican Unrest (2006) and Lacy’s Skin of Memory (1999) both deal with subjects including immigration and community organizing. This is the New York appearance of an exhibition that first appeared as part of the Getty’s “Pacific Standard Time: LALA” initiative. Location: The 8th Floor, 17 West 17th Street Price: Free Time: Opening reception Friday, February 9, 6 p.m.–8 p.m.; Gallery hours Tuesday–Saturday, 11 a.m.–6 p.m.